Whenever a fashion piece has an adjective labeled “100% Italian” to it, know that it is the very definition of style. Same goes with handmade leather attorney briefcases. Designs made in Italy create this poise of elegance that shows everyone you are ready to rock the world of business and law. With various compartmentalization options, you can carry your electronics, documents, and office stationaries with safety and security. And if you really want to find yourself a briefcase that is lifelong, eco-friendly vegetable tanned leather crafts guarantee impeccable durability, graceful aging, and the development of a unique patina. Belts, shoes, watches, glasses, shirt stays – all of these garment details can make or break your gentlemanly poise. You need quality accessories if you are to create an elegant fashion style that exudes confidence and maturity. Every gentleman needs high-quality leather shoes, complementary belts that aren’t too eye-catching nor too plain, and a watch that shows your masculine taste. These finishing touches make an outfit look uniform and emphasize your qualities in a refined manner. And to top everything off, adding a pair of Ray Bahn sunglasses or discreet bling will make you look like a million bucks. Clothes certainly do make a man and a finely tailored suit is the epitome of this statement. Have you got yourself an expert tailor if you are to achieve that perfect fit? 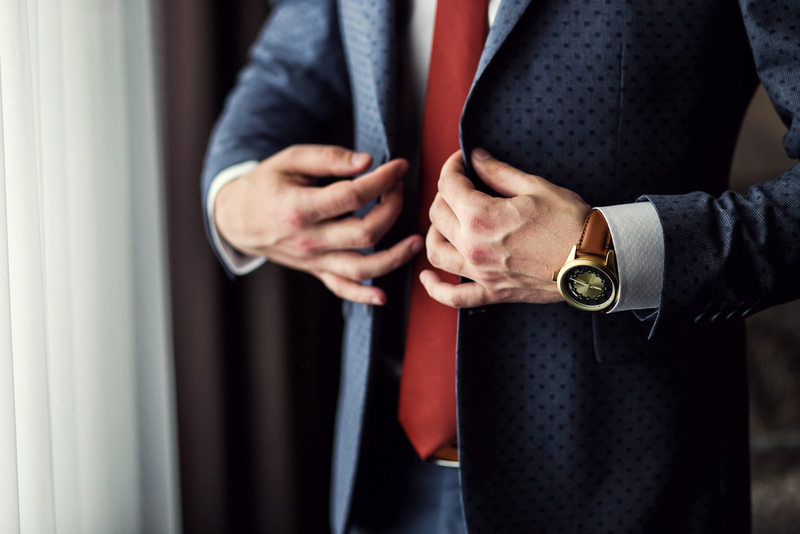 With the right choice of material, color, design, and skill, your suit will exude professionalism and class like no other garment in your wardrobe. There is also a color and accessory combination etiquette that all men need to adhere to when wearing a suit. To name a few, your shoes and belt have to be matching colors. The length of sleeves, as well as socks, has to be adequate, especially when you are in a seated position. And definitely unbutton your suit jacket when sitting to avoid creases. There is something about waisted coats that make men feel powerful and confident about themselves. It flatters the male figure, enhances the shoulders, and demands respect from prying eyes. If you happen to own a quality piece, no doubt it makes you feel like you can conquer the world. But if you don’t have one, definitely be on a lookout. A modern-day gentleman will never be complete without a finely tailored coat design. Not only does it look good but it also weathers the cold like a charm. It is no wonder why so many men consider a refined coat a fashion staple for gentlemen – it symbolizes sophistication, practicality, and dignity like no other garment. Being a gentleman is all about how you treat others and how you bear yourself. Consequently, your fashion selection should be a reflection of such demeanor. With these wardrobe staples, you can show the world what style and class is. Invest in your dignity. Become the gentleman you were born to be. Which Benefits Make Organo Gold Coffee Stand Out?